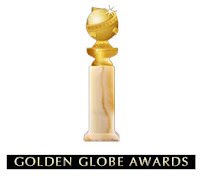 "Shore will be given the Frederick Loewe Music Award for his work on Martin Scorsese’s Hugo. He previously received the same award in 2005’s for composing the score for The Aviator. “Howard Shore is a master composer who has consistently delighted audiences of the more than 80 films that he has scored,” Matzner said. “In Hugo, the labyrinthine setting of a Paris railway station, where a young boy lives alone, doing what he must to survive, and the discovery of an aging filmmaker gifted with a second chance provide the perfect inspiration for Shore’s haunting score." 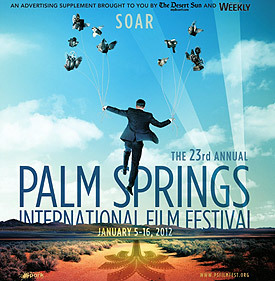 The Palm Spring Film Festival will run from January 5 to January 16, 2012. Click HERE for more information. Howard Shore's official website is now running the lyrics to Hugo's "Coeur Volant" in both French and English. Also note that the song, as performed by Zaz, is now available as a single on iTunes. If you'd like to learn more about Howard Shore's work on Hugo, please be sure to check out our three Clockwork articles. voir la lune, les étoiles, tout se retrouve à nouveau. l'amour a soigné ce qu'il manquait. un secret qu’ils partagent à présent. les choses en morceaux se réparent a nouveau. Watch the moon and the stars. All that is lost can be found again. His broken heart takes flight. She was a stranger, a helper, now friend. Her key brought the dream to life. He was a magician of pictures and poems. Alone with his broken playful things. Then his broken heart flies. Things in pieces can mend. © 2011 South Fifth Avenue Publishing (ASCAP), Sony/ATV Songs LLC (BMI) o/b/o Sony/ATV Music Publishing France Sas / Play On 911 (SACEM), and Paramount Allegra Music (ASCAP) All rights reserved. This wonderful piece was sent in by Earl, who has set up his own website to house it, but has given his permission for us to run it here. It's a fascinating view at the creation of the diagetic music in The Lord of the Rings Films. Enjoy -- and thank you, Earl! December 2011 marks 10 years since the release of the first of the films in The Lord of the Rings trilogy, and although many stories have been told concerning those who worked on them, both on camera and off, not much has been said about Plan 9 and David Long. And so it was my great pleasure to be able to interview them on the occasion of this anniversary. Just as The Lord of the Rings was a tale that “grew in the telling”, so too has this interview grown to become one of the most comprehensive accounts, if not the only one thus far, of Plan 9 and David Long's work on the films. It was a pleasure conversing with David Donaldson, and I thank him along with Steven Roche, Janet Roddick, and David Long for being not just approachable but also generous with their time and information. QUESTION I Many stories have been told about the collaborations on The Lord of the Rings. One of them says that Peter Jackson had shot Bilbo's birthday party scenes to "Flaming Red Hair," a piece of music that you both composed and performed, and that he thought the tune fit in so perfectly that he decided to use it for the film. Is this how Plan 9 came to be involved with The Lord of the Rings? PLAN 9 Some Background: The 4 of us all knew Peter and Fran for quite a few years before LOTR and worked on a number of their earlier films in various capacities. David Long was part of the band (The Muttonbirds) who Peter chose to play the end credits track on The Frighteners and Plan 9 (Steve Roche, Janet Roddick and David Donaldson) had scored Peter’s mockumentary Forgotten Silver. Although 3 of us work under the name Plan 9, the work we did on LOTR was very much a 4 way collaboration between Janet, Steve, myself and David Long. For the purpose of this work we called ourselves the Elvish Impersonators. 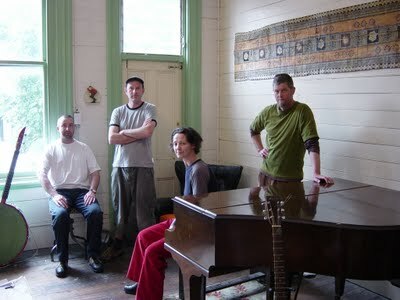 The 4 of us have been making music together for over 25 years now. We all originally played together in a band called the Six Volts. Here’s us on a kids tv show in the 80s: Around the time that the films were green lit it occurred to us that there are many instances of songs and music in the books that are specific to the various peoples of Middle-earth and that there might be a place for us to create what we termed “cultural” music. This would mostly be source music ie. audible to the characters on screen and in some cases would be required on set for the shoot. We would endeavor to create distinctive and authentic feeling folk music for each race, be they Hobbits, Elves. Humans etc. We approached Peter and Fran about this and they commissioned us to come up with some ideas for the Bilbo’s birthday scene. I think we originally came up with 6 demos and once the more eccentric ones (Chopsticks played on Banjo, Uilleann Pipes etc) had been whittled down Peter and Fran settled on the 2 songs that were developed into Flaming Red Hair and Flowers for Rosie. We didn’t originally go as far down the Celtic route as it ended up but the brief became something along the lines of “the songs need to be really catchy on the first listen and we need to know these are the good guys straight away”. I believe they shot to both songs but by the time the scene was cut they only needed Flaming Red Hair. Once they started editing the film and Flaming Red Hair had sat in place for a while I guess it was doing the job well enough and it just stayed there. Following the contact we had with the production re the cultural music we were then employed as temp score/music editors, right from the animatic/preproduction stage of the trilogy. QUESTION II How did the track title "Flaming Red Hair" come to be? PLAN 9 The original title was “Flaming Red Hair, (On Her Feet)”. QUESTION III Many people do not know this, but you had also composed a song called "Flowers For Rosie" for Bilbo's birthday party scenes that was eventually never used. Can you tell us something about this? PLAN 9 As I’ve said above, they wanted to make sure they had enough music to cover what they might want to shoot, so wanted a second song as backup. Flowers For Rosie is another Celtic type piece using the same band lineup: Hurdy Gurdy, Rommel Pot, Jaw Harp, Bodhran, Fiddle, Whistles and Indian Harmonium. I seem to remember we also did a piece for Hobbiton Market that didn’t get used. QUESTION IV The complete scores for The Lord of the Rings, including all of your work on the films, have now been released on the Complete Recordings, but "Flowers For Rosie" still remains unreleased. Is there hope that fans will one day get a chance to listen to this track? PLAN 9 We would be happy for all of our LOTR music to be released but it is not up to us. We would have liked our music to be released on the original soundtrack album. I think it was a New Line decision to release just the score. QUESTION V Your version of "A Elbereth Gilthoniel", titled "The Elvish Lament"/"The Passing of the Elves", is interesting compared to the rest of the score in that it is an almost exclusively vocal piece. How many singers were on this track, and were there any instruments used? PLAN 9 The Elvish Lament was sung by Janet and Steve, The women’s voices were achieved by laying up numerous parts by Janet and the male parts layered up with Steve. The original demo was sung by Janet but they had wanted a male voice as lead in the film version. We auditioned and recorded several really good male singers but in the end they wanted the demo version they had grown to like. There is some very light musical backing, from memory it is Bowed Double Bass Harmonics and Bowed Banjo making up a shimmering bed. QUESTION VI Talking about instruments, Howard Shore determined which instruments would represent each culture in Middle-earth and wrote music pertaining to those cultures using these specific instruments. Did you follow a similar process for the cultural music you composed? PLAN 9 One of our starting points was to imagine the musical instruments for each culture. We began by investigating the types of materials available to make their instruments. Hobbits seemed likely to have wood, animal skin and gut strings where the Elves may have had more access to different metals. From there we considered the elegance and design sensibilities of the Elves and how that might potentially influence the look and therefore the sound of the instruments. We felt the Elves more intellectual outlook could mean they had studied the science of harmonics and so used them in their composition. As we weren’t necessarily thinking the Hobbit music would be particularly Celtic sounding initially we ranged widely in what instruments and style we used. We were slowly reined in and in conjunction with Peter and Fran settled on the style and sound of the Hobbit music. The Elvish music was informed by different musical scales. We listened to a lot of different European folk music and the scales it was built upon and devised our own scale which had it’s own special ascending and descending scale. The correct Elvish Pronunciation was taught to us by video from David Salo and the dialect coaches who were here in NZ during the shooting. QUESTION VII Moving on to The Two Towers... how did you approach composing the music for "The Lament For Théodred" sung by Éowyn, a piece that was significantly different from your overall work on The Fellowship of the Ring? PLAN 9 Eowyn’s Lament has a different sound to it because it is sung by Eowyn, one of the Rohan, a race of people. We were aware that all the different cultures needed to have a distinct character and sound to their music. In addition we had to compose the melody to the pictures that had already been shot. The actress had chanted the lines and we devised the melody for the main voice and then for the chorus of women supporting her. It was re recorded by the actress, Miranda Otto, plus a small group of female singers during post production. QUESTION VIII You also contributed to the sound design for The Two Towers and The Return of the King. What aspects did you work on? 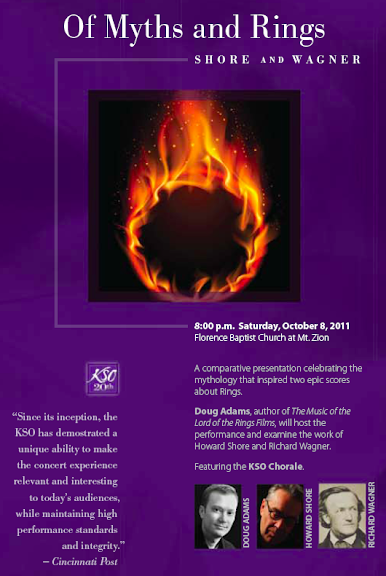 PLAN 9 Our musical sound design work was mostly based around the influence of the Ring on the different characters. In film 1 the Ring was voiced by Alan Howard. For film 2 and 3 Peter and Fran wanted to try and give the Ring a more seductive voice as it started having influence and control over the characters. They were aware of Janet’s distinct vocal talents and wanted us to use her voice to give the Ring more variety in how it interacted with the characters it came into contact with. It was a fantastic opportunity for us to help give the Ring a strong character. As well as layered and effected vocal elements including wordless voice and ‘black speech’ we augmented these with textures and atmospheric layers. A lot of time was spent bowing, scraping, effecting and producing all sorts of “instruments” to get the required results. The start of film 3 with Smeagol and Deagol fighting is a good example of this as is the final confrontation between Frodo and Gollum leading to the Ring’s destruction. We also created some musical sound design for the Ents and the Dead Marshes. It was our dream job really. QUESTION IX Finally, for The Return of the King, you composed the music for "The Drinking Song" sung by Merry and Pippin in Edoras. You'd also composed music for another version of "The Drinking Song" for The Fellowship of the Ring sung by Merry and Pippin in the Green Dragon Inn. What influenced the tunes for these perfectly hobbity tracks? PLAN 9 As the words for the songs came first it influenced how the songs could go. As they were drinking songs they needed to flow and scan easily and be able to be sung by the cast members. Working in conjunction with Fran we just followed our noses on those ones. QUESTION X It's been 10 years since you worked on these films. Surely every moment of the entire experience was tremendously rewarding. But is there any one memory of your time working on The Lord of the Rings that you specifically cherish? PLAN 9 We worked about 6 months a year for 4 years on LOTR in our different capacities: temp score and music editing, cultural music creating and performing and as musical sound designers. It was like doing a degree in filmmaking. We watched and were part of those films right from their drawing board stage through to release. We absolutely loved being part of it. A lot of our work didn’t make it to the release cuts as the areas we tended to work on weren’t necessarily forwarding the story so tended to get cut as the films got too long. That’s filmmaking. They have however tended to turn up on the Director’s cut. It’s great that a number of people have noticed our input into those 3 films. I can’t think of one instance that stands out. It was a pretty special time. QUESTION XI I've asked you 10 questions to commemorate the 10th anniversary of the release of these films. But I'm going to sneak in one more that looks forward now... ... a prelude to The Lord of the Rings is in the works. Are you involved in The Hobbit at all? And if so, are you at liberty to tell us what your contributions will be this time around? PLAN 9 I’m not at liberty to tell you of any possible involvement we may have with The Hobbit. 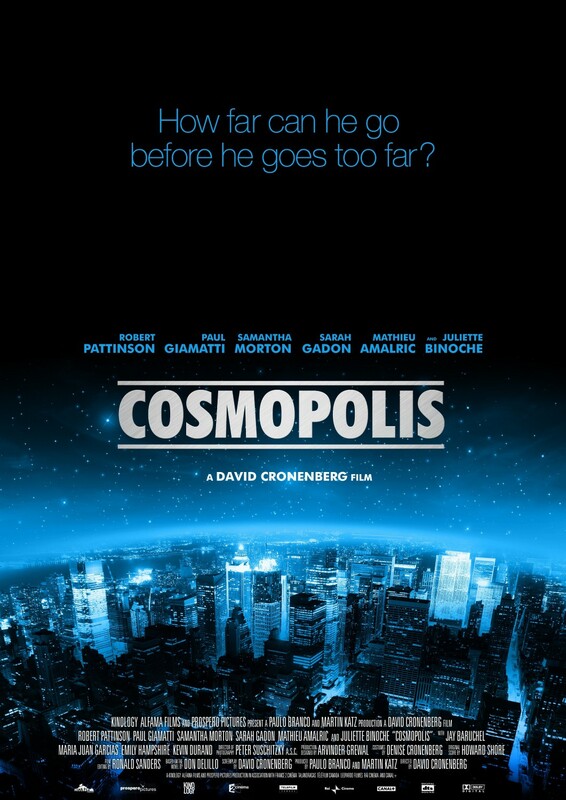 Here's the newly released poster for one of Shore's upcoming 2012 projects: David Cronenberg's adaptation of Cosmopolis. Click the image for a larger version. Be back here tomorrow evening ... I feel we'll have something to discuss! Filmmaking’s beginning was charged with the energy of endless possibilities. 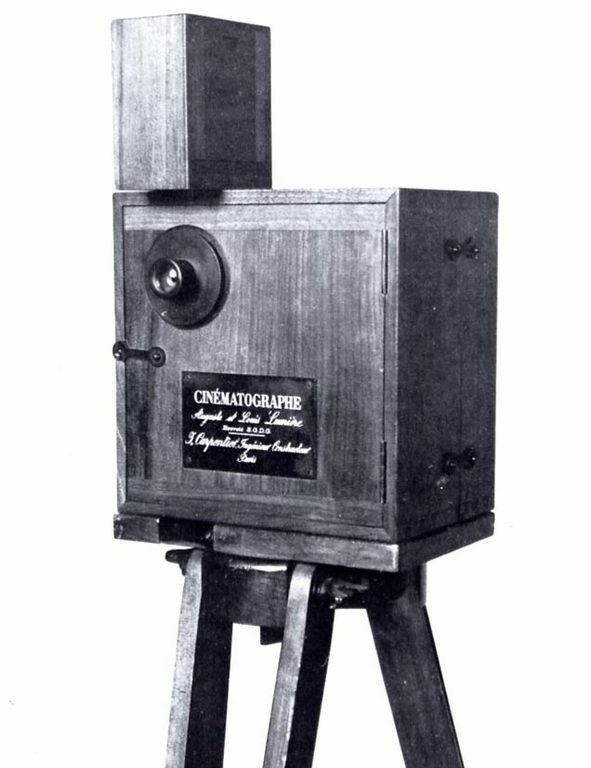 The era of the ‘silent’ film lasted from the 1890s to approximately 1929. The historical record places the first matching of music and film in December of 1895, six years before Meilies’ A Trip to the Moon. By 1908 however, the musical potential of film was enough to draw the attention of Camille Saint-Saëns, who wrote an original score to The Assassination of the Duke of Guise (L'Assassinat du duc de Guise). While the music was successful enough to earn a permanent place in Saint-Saëns’ body of work, it was largely regarded as an experiment. Music for film was rarely original. The variable resources available to these films meant that the accompaniment was generally drawn from classic Late-Romantic concert hall music, and either reduced to piano or small ensemble performance. Usage, too, varied greatly. Sometimes the music accompanied the films themselves, though just as often it backed reel changes – or it was simply played outside theaters to draw audiences in. Much of Méliès’ financial struggle was due to the unauthorized reproduction of his films in the United States. Thomas Edison, looking to corner the budding film market in the States, copied and distributed Méliès’ films across the country without remunerating the filmmaker. In addition, Edison held nearly every film-related patent in the U.S., which held investors – and the industry itself – largely at bay. In 1908, the same year Saint-Saëns’ first film score was debuting in France, Edison formed the Motion Picture Patents Company, a nine-studio conglomerate that essentially muscled all other investors out of filmmaking. Méliès’ career in film met its end just as another era in film music was dawning. His final project, The Knight of the Snows, was released in 1913, just as live underscore (or photoplay) music became common accompaniment for films. Only a year prior, Max Winkler had begun to explore the commercial potential in film music retail. Winkler worked at Carl Fischer in New York, and began to make available collections of (in his words) “butchered” classics that could be used to accompany films. In 1913 Sam Fox published his own collection of short compositions by John Stepan Zamecnik – the Sam Fox Moving Picture Music volumes. These pieces were arranged by their intended purpose, and went by such titles as “Western Scene,” “Indian Attack,” “Goodbye Music (For Parting Love Scene),” or “Burglar or Sneaky Music.” Fox had been a successful music distributer, having been the exclusive publisher for John Phillip Sousa, and Zamecnik was a violinist in the Pittsburgh Symphony Orchestra who had studied composition under Antonín Dvořák. The pairing seemed financially beneficial to both, and so it would be. In October of 1915 a federal decision was passed in the case of United States v. Motion Picture Patents Co. where it was decided that the conglomerate went “far beyond what was necessary to protect the use of patents or the monopoly which went with them.” Their actions were declared an illegal restraint of trade under the Sherman Antitrust Act and by 1918 the MPCC was no more. Film production proliferated in the United States, as did dedicated theaters complete with elaborate organs and house orchestras. It is estimated that, at this time, 40 percent of film showings were accompanied by theater organs, 25 percent by solo piano, and 25 percent by orchestras of varying sizes and instrumentation. (Ten percent of films remained unaccompanied.) However, the largest, most prestigious theaters all had orchestras, so while only a small percentage of the nation’s showings included orchestral accompaniment, the majority of the filmgoing public was exposed to orchestral rather than organ or piano music. During this same time period, worsening economic and political situations in Europe were causing many composers to look the U.S. for employment. In 1914 Max Steiner, a young Viennese composer who has studied with Brahms and Mahler, came to States seeking work on Broadway. Hugo Riesenfeld, a violinist and composer who once played in a quartet with Arnold Schoenberg, likewise came to the States from Vienna. Although Riesenfeld also did a stint on Broadway as the concertmaster for Oscar Hammerstein’s Manhattan Opera Company, he was already working in film by 1915. Just a few years later, he scored Joan the Woman for Cecil B. DeMille. In 1921 Ernö Rapée, a Hungarian-born composer, created a score for The Cabinet of Caligari by compiling concert works by such composers as Schoenberg and Stravinsky. In fact, the Caligari score may have been the first time these composers’ works were performed by an American orchestra. In 1924, Rapée would publish Motion Picture Moods, a collection of short, film-appropriate compositions not unlike the Sam Fox volumes. Composers acclaimed for their concert hall works contributed to the young film music industry as well. In 1923 Arthur Honegger scored La Roue; in 1925 Darius Milhuad scored The Beloved Vagabond; in 1929 Dmitri Shostakovich scored Novvy Vavilon. 1926 and 1927 brought two new revelations: In ’26 William Axt and David Mendoza’s score for Don Juan (staring John Barrymore) became the first film score to be recorded. And in ’27 the dam broke. The Jazz Singer brought a whole new dimension to films. For the first time synchronized sound recording was a part of the filmgoing experience. To take advantage of the new technology, Hollywood flooded the market with musical films. They were expensive and difficult to produce – the orchestra needed to be live on-set for the full shoot. Overdubbing was not yet a part of the process, so it was not unusual for the full ensemble to be required to put in 14 to 16 hours days just to record a two-minute song. But with the new audio gimmick in place, movies were doing record business, and were flush with cash. In 1929 Max Steiner left Broadway, ostensibly to orchestrate Rio Rita, but the allure of the Hollywood musical kept him firmly on the West Coast. Soon Hollywood was churning out musicals at such a rate that audiences tired of them. Attendance sagged slightly, but was dealt a heavier blow in 1929 when the stock market crashed. However, it was far from a death knell. Prior to the market crash, film theater attendance averaged around 90 million tickets per week, nationwide. During the crash, that number dropped, but never dipped below 60 million. Likely, audiences were anxious to take their minds off the grim realities as hand. Yet while Hollywood marched on, some belt-tightening was necessary. Live musical accompaniment was one of the first luxuries to be disposed with. The recorded music that had been so popular during the musicals’ brief reign was now applied to dramatic underscores. Performers were hungry for work. Film studios began to build music departments around stables of composers. Film scores were now seen as group efforts with teams of composers creating themes, and then trading them off to one another to create variations and developments. Simply by circumstance a new sound began to emerge. It was rooted in the traditions of European Late-Romantic music, informed by vaudeville and melodrama theater, and polished with the glittering patina of Broadway musicals. In 1933 Max Steiner composed King Kong. It was one of the first full-length films to be extensively scored. It used the new Hollywood sound, but a single composer created it. It was, in short, a revelation. With its combination of tone, technique, and structure, Kong established film music practices that are still in place today. King Kong was also a feather in the cap of its producer, David O. Selznick, second cousin twice removed to Brian Selznick, author of The Invention of Hugo Cabret. In The Hugo Movie Companion, Brain Selznick writes, “My grandfather’s first cousin was the famous film producer David O. Selznick, who made the original King Kong, as well as Gone With the Wind, Duel in the Sun, and many other classic movies. He and my grandfather grew up together, and even though they both died before I was born, my grandmother’s house was filled with books about David O. Selznick that I loved to read. Perhaps this is why I’ve always loved movies.” The last act of the film version of Hugo, of course, deals directly with the importance of films and their history. Just as Scorsese’s film pays homage to the history of cinema via both its plot and certain recreated techniques, so does Howard Shore’s score honor the photoplay music that came before it. 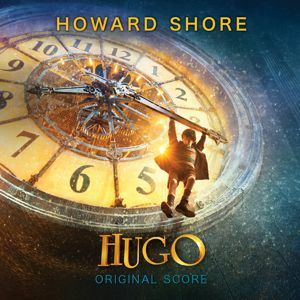 Howard Shore's score to Hugo has been nominated for a 2011 Critics Choice Award for BEST SCORE. Congrats and best of luck! 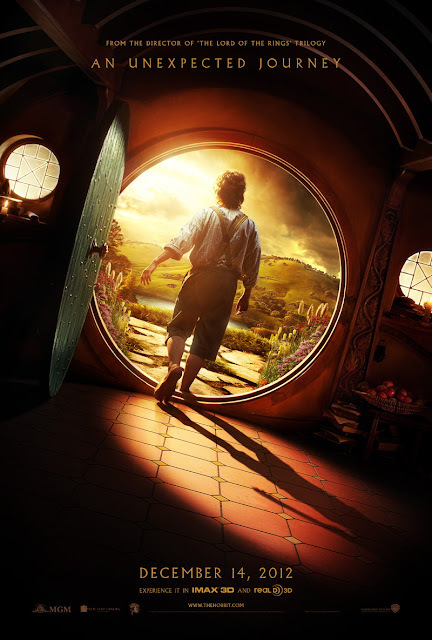 Dan Schweiger has just posted a new interview with Howard Shore in which he discusses Hugo, A Dangerous Method, The Lord of the Rings, The Hobbit ... the whole panoply! Howard Shore: "I’m actively composing now on The Hobbit. I love Tolkien, and I love Peter’s work. He creates such incredible films, which makes it even better for a composer. These films are endlessly interesting to me. I never tire of them, because the Rings films are fascinating worlds to work in. But scoring them doesn’t get any easier, I have to say! You would think after The Return of the King that you’ve done everything. Now there are two films ahead and it’s just a mountain to climb really, but it feels good. The Hobbit is quite inspiring." Read Schweiger's full piece HERE. We've been looking at Hugo a lot during the past month, and we will continue to do so during the coming weeks. However, I didn't want to allow A Dangerous Method to pass without some scrutiny. I spent the better part of last spring preparing Of Rings and Myths -- and have, in fact, been working through a few self-imposed revisions just this last month -- so Wagner has been very much on my mind this year. I knew Shore was working on Dangerous Method at the same time but, other than the Idyll, I didn't know which bits of Wagner would be quoted in the score. When I finally heard the album, I was happily encouraged by just how many common selections we'd made in terms of the motifs. I'm not sure how many Wagnerians there are on the blog ... though Timdalf certainly fits the bill! Anyway, I thought it might be fun to pick through the motifs that appear in the score. I found the use of the Wagner in this score to be quite clever, since it's often well digested into Shore's writing. For example, the album's first track ("Burghölzli") would appear to begin with an appropriately re-formed setting of Wagner's motif for Mime's obsession. Some of the Wagner quotes seem to relate to the spirit of Wagner's drama while others relate to the undercurrent and meaning behind the leitmotifs; they're not all simple answers. So please, have a go at it! And by all means, invite your favorite open-minded Wagner scholars to stop by and contribute. I'm anxious to see what you all pick out! I'm currently working on a bit of research that's one part related to Hugo, one part inspired by Hugo. I'll talk about that more when the next installment of Clock Work runs. As I've noted on the boards, I'm remaining tight-lipped on all things (well, most things) Hobbit-related until 2012, but when speed picks up on that front, expect it to pick up quickly. Back soon with more Clock Work. Hugo takes place in Paris in 1931 and tells the tale of an orphan who lives behind the walls of the Gare Montparnasse railway station. Befriended by a young girl named Isabelle and hunted by the Station Inspector, Hugo seeks to solve the mystery his father left behind – a mystery embodied by an imperturbable automaton. Hugo eventually encounters Papa Georges, who grieves for his own past and, like Hugo, is haunted by what he has lost to time and circumstance. Martin Scorsese’s adaptation of Brain Selznick’s 2007 book The Invention of Hugo Cabret is many things. It is a love letter to mid-twentieth century Parisian culture; an ode to the early days of film; a tender story about loss, loneliness, and deliverance; and an experiment in modern cinematic technique. But most of all, it is a story of characters and passions. The same can be said of Howard Shore’s score. It is an amalgam of forward-thinking technique and old-fashioned storytelling. It’s both an homage to a fascinating period in the budding art of film music, and a continued evolution of Shore’s deeply personal compositional voice. However, as befits the story, the score’s primary concerns are place, people, and heart. “Hugo is very detailed in its use of motifs and themes,” says Shore. “It’s an older style as we know, but Hugo had a pretty traditional type of approach to using themes for characters and objects. Marty really got into it. It’s such a nice way to work. The clockwork theme often underpins Shore’s mystery theme, which depicts the puzzle Hugo inherits from his father. Here the melodic line passes slowly and steadily, falling by recurrent octaves in piano. Isabelle’s theme is closely related to Hugo’s in spirit and flavor. Each has a lonely, isolated quality that warms as the score progresses. “Isabelle comes into the toy store and you hear the solo musette for the first time. The automaton that Hugo’s father left behind is decorated with the most exotic orchestrations in Shore’s score, but they’re subtly applied. The short motif for the machine rotates through and around B minor tonalities, and is often orchestrated for strings, celesta, harp, and the delicate electronic tone of the ondes Martenot, a kind of French theremin that was created in 1928 and employs a standard piano-like keyboard with a sliding metal ring. With these seven themes assembled, Shore was prepared to start into the 105 minutes of score that Hugo would eventually require – an unusual amount for a Scorsese project. Doug Adams: There’s a real depth to the writing in this score. At times it feels like it’s a smaller ensemble folded into a larger ensemble. It’s such a beautiful way to do it because it puts you in the mindset of three-dimensional imagery. You think of things in proximity to the listener. Intimate things are close-up, larger-scale things are broader. Howard Shore: That was one of the things I wanted to do very early on. I had not previously worked on 3D films, but I wanted to make sure I had a lot of depth to the sound of the recording, so I used a pretty big orchestra: triple winds, brass in threes, 60 strings, and percussion. The orchestra was about 88 total, and then I used a second smaller group, which became its own little band in the middle. It was the sextet: the ondes Martenot, musette, gypsy guitar, piano, bass, and drums. We used an old 30s drum-kit. HS: Right, there’s woodblock, and old cymbals, and snare drum. I also used a variety of pianos. The tack piano is actually Mrs. Mills’ piano. It’s a very famous piano that McCartney used on “Lady Madonna.” They’ve had it in Abbey Road’s Studio Two for years, so they rolled that out. I used that quite a lot. It’s a beautiful old Steinway. It has a good tuning, but it’s got that ‘tack’ sound. I don’t think they’ve done much to it; it’s just an old beat-up piano! Mrs. Mills had a TV show in the UK. Everybody knew the piano. They all called it “Mrs. Mills’ piano” and made a whole thing of bringing it out! I actually tried other pianos – small uprights –but we ended up with Mrs. Mills’. A lot of the ivories are gone, and when the ivories are missing the keys are very rough. So Simon Chamberlain’s hands would be raw and sore! He’d be playing all these very fast things, and the piano had no ivory or plastic or anything on the keys. The sextet was really the core. I did twelve sessions with the sextet on its own before I worked with the orchestra. I did a lot of recording with them over the course of about five months; I would write, and then I would do a live session with the group. Marty never uses temp – he never puts anything in the film that doesn’t belong in the film – so whatever I was writing and recording, he would put in the film. He likes to screen the movie a lot. So it was a way to watch the film with the right music in it. DA: I loved the use of the ondes Martenot in the sextet, because it doesn’t play a novelty role. You’re just using it as another woodwind; it sits right in that family. It has that beautiful color but it doesn’t draw undue attention to itself. HS: That’s right. It’s used like a woodwind, exactly. It’s such a beautiful instrument. It’s subtly used. DA: The sextet is creating a very ‘French’ type of sound, but it still feels like it’s entirely connected to the score. It doesn’t feel like you’re using a different voice and then going back to the score proper. It’s all one self-contained sound. That’s got to be a tough thing to accomplish. HS: Well, I think that’s just from orchestrating it myself. I get into these grooves. It would have been a hard score to do with a lot of different people. The completeness is why I like to do the orchestration. DA: The other thing that struck me about the consistency of the score was the harmonic language. If you look at Hugo’s theme, even when it transforms into the song, it never becomes a I-IV-V-I thing. You’re not just doing a folk tune. It still has the changes that are so much a part of your voice, things like the augmented chords and so on. That made it feel like it was an extension of the score. HS: I think that’s because you’ve heard this music all through the film, so it seems it’s most satisfying to hear a lyric at the end. When you hear that voice come in, it’s like: “Ah, we’re home!” It just feels so good … if you get it right! DA: It’s a sense of completion, like all the parts came together to make something – a last statement. HS: Exactly. I love that. The lyric by Elizabeth is so beautiful, and hearing Zaz sing the song in French is just so gorgeous. DA: It’s such a beautiful language anyway. HS: Exactly. And it just feels so natural. The lyrics are really beautiful. They’re about the boy and the girl, and about time and healing. It’s a nice completion. One of the things I love about writing film music is that I can delve into these musical periods. They’re so interesting. Like the world of Naked Lunch, or Ed Wood, or Georges Méliès, or The Aviator. That was always a major attraction – to be able to live in these worlds. I mean, why wouldn’t you want to work in 1930s Paris? Or with the Lumière brothers or Méliès’ in the late 1800s. DA: The last themes in the score deal with Méliès, yes? HS: Yes. With Georges Méliès in the last half of the film I started to develop the Nostalgia theme. It has to do with the past. So that’s the theme of his magic show, and the early days of cinema. It’s used all throughout the ending of the film. You know, people forget that the silent film era was actually over 30 years long. DA: Yes, we think of that period like a flash in the pan, but it was around a long time. HS: From around 1895 – that was the Lumière brothers – up to the beginning of recorded dialogue and The Jazz Singer in 1927. But the silent era was never silent. It always had music. That’s fascinating to me. In Hugo they show the Lumière brothers’ film A Train Comes into the Station [(L'Arrivée d'un train en gare de La Ciotat)], and it has a man playing a piano into a tent. It’s in a sideshow, like in a carnival. He’s playing Saint-Saëns’ Danse Macabre. I really wanted to get Saint-Saëns into the film because, as we know, Saint-Saëns was the first film composer. DA: That’s right. Just about the very first, The Assassination of the Duke of Guise [(L'Assassinat du duc de Guise]). HS: You hear his work predominantly in a couple of key spots. Danse Macabre was from 1874, and it was a popular classical piece. It was a very dark piece – people weren’t used to that kind of music evoking rituals. DA: The figure of death on his violin and all that. HS: Yeah, exactly! So it was a very popular piece, and of course the Lumière brothers’ silent films were also a popular type of entertainment. And people were frightened by it! A Train Comes into the Station was tremendously frightening to people. People thought the train was going to run them over! That sort of reminds me of 3D. Méliès was an early experimenter with stereoscopic images, and coloring the film, and creating special effects around the turn of the century. It was a pretty unusual thing to be doing, but he was such an innovator. It’s so fascinating, the silent era. It was the birth of all film music. What was played in those movie theaters became what we associate now with film. It went up through Waxman, Korngold, and Steiner. Everybody that came after the silent films started with this classical idea of music in film. DA: It’s such a fascinating period. We think of that as such a logical combination now – a film will almost always have music whether it’s an original score, or songs, or source, or whatever. But somebody had to have that idea. They had to think, “We’ll use music, it’ll help the storytelling.” People take that for granted, “Of course it’s there, it has to be.” But somebody thought of that. That was an idea; that was an innovation. Hugo puts you right back in that world of large productions and traditional narrative music. That’s a good place to be as you move into the next year, yes? HS: Yes, Hugo was a good lead-up for The Hobbit. DA: It puts you in that thematic mindset again? HS: Exactly, yes. It brought me back into that whole process. It was a bigger film score than I had done for a while in terms of the amount of music, and how the music was used in the film. It’s not quite as long as The Hobbit will be, but it was a very similar process in terms of composing. The composition took basically five months, and the production was pretty extensive – two months of orchestration, two months of recording/editing/mixing. So Hugo was like a mini Rings score. (November 15, 2011—New York, NY) Howe Records is pleased to announce the release of the Hugo – Original Score, available in stores and digitally on November 22, 2011. Hugo marks the sixth collaboration between director Martin Scorsese and composer Howard Shore. Like Scorsese’s film, Shore’s score to Hugo is a love letter both to the French culture in the 1930s and to the groundbreaking early days of cinema. Hugo tells the story of Hugo Cabret, a boy who lives behind the walls of a Parisian train station. Shore’s music is composed for two ensembles – one nested within the other – to create a sense of layering in the musical palette. Inside a full symphony orchestra resides a smaller ensemble, a sort of nimble French dance band that includes the ondes Martenot, musette, cimbalom, tack piano, gypsy guitar, upright bass, a 1930s trap-kit, and alto saxophone. “I wanted to match the depth of the sound to the depth of the image,” says Shore. The Hugo score is based around a family of primary musical themes. “The themes are used for clarity of storytelling and they develop over the course of the film,” says the composer. 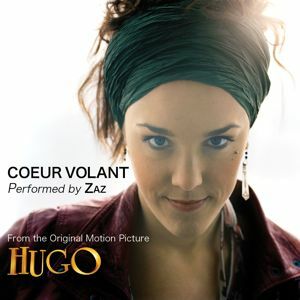 The score’s central theme is a Parisian waltz that develops into the song “Coeur Volant.” Howard Shore invited renowned French singer Zaz to collaborate with Elizabeth Cotnoir and him on the song, which captures the lyrical essence of the world of Hugo. The theme for Hugo’s quest begins the score with clocklike precision in piano octaves. A figure for strings, celesta, and ondes Martenot rotates downward through minor modes to depict the mysterious automaton that Hugo’s father left behind. The Station Inspector is portrayed by a marche comique featuring bassoon and striding snare drum, while the cinematic innovations of Georges Méliès – “Papa Georges” to Hugo and Isabelle – receive Shore’s most theatrical flourishes, which recreate the spirited energy of live theater orchestras and the very first film scores. Academy Award®-winning composer Howard Shore is among today’s most respected, honored, and active composers and conductors. His work with Peter Jackson on The Lord of the Rings trilogy stands as his most towering achievement to date, earning him three Oscars® and four Grammy® awards. Since 2003 Shore’s music from the beloved trilogy has been constantly performed in concert halls around the world. 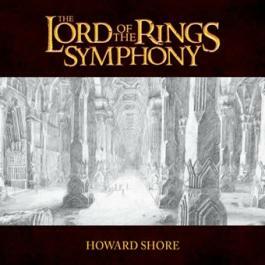 Howe Records recently released a live recording of The Lord of the Rings Symphony: Six Movements for Orchestra and Chorus, which continues to appear on Billboard Magazine’s classical charts. As one of the original creators of Saturday Night Live, Shore served as the show’s music director from 1975 to 1980. 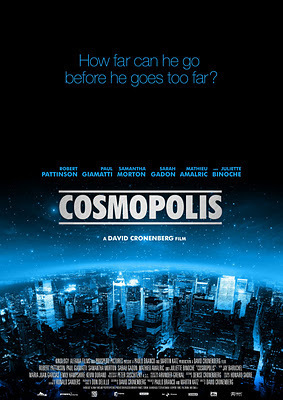 At the same time, he began collaborating with David Cronenberg, and has since scored 13 of the director’s films, including The Fly, Dead Ringers, Crash, Naked Lunch, Eastern Promises, and 2011’s A Dangerous Method. Shore continues to distinguish himself with a wide range of projects, from Martin Scorsese’s The Departed, The Aviator, and Gangs of New York, to Ed Wood, The Silence of the Lambs, Philadelphia, and Mrs. Doubtfire. He is currently working on his second opera, and is returning to Middle-earth with J.R.R. Tolkien’s The Hobbit. Through the years, Academy Award® winner Martin Scorsese has transported us to extraordinary places. This Holiday season he will take audiences to a magical time and place as only he can, in his first ever 3D film, based on Brian Selznick’s award winning and imaginative New York Times bestseller, The Invention of Hugo Cabret. Hugo is the astonishing adventure of a wily and resourceful boy whose quest to unlock a secret left to him by his father will transform Hugo and all those around him, and reveal a safe and loving place he can call home. The film stars Ben Kingsley, Sacha Baron Cohen, Asa Butterfield, Chloë Grace Moretz, Ray Winstone, Emily Mortimer, Christopher Lee, Helen McCrory, Michael Stuhlbarg, Frances de la Tour, Richard Griffiths, with Jude Law. Paramount Pictures will present Hugo in theaters on November 23, 2011. The Hugo – Original Score from Howe Records will be available in stores and digitally on November 22, 2011. 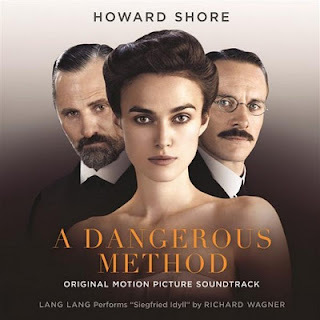 Sony Masterworks is proud to announce the release of the original soundtrack picture soundtrack of A Dangerous Method. Howard Shore, a leading composer for movies, wrote the music for this dark and dramatic tale set in Zurich and Vienna on the eve of the First World War. Available on Monday, November 21, the soundtrack also features a recording of Richard Wagner’s Siegfried Idyll by one of the most exciting pianists of our time, Lang Lang. A Dangerous Method is the story of the relationship between two of the great pioneers of modern psychology, Carl Jung (played by Michael Fassbender) and Sigmund Freud (Viggo Mortensen), and of Jung’s relationship with his brilliant and beautiful young patient Sabina Spielrein, a wonderful role for Keira Knightley. Jung successfully treats Sabina, who with his encouragement becomes a psychiatrist herself, and through correspondence about her case Jung gains the friendship of Freud. When Jung breaks off his love affair with Sabina, she becomes Freud’s patient, and differences on moral and intellectual issues open a gap between the two men. Director David Cronenberg has chosen Howard Shore to write the score for all but one of his films in the last 30 years. Shore has composed music for more than 80 films in all, also working with directors such as Martin Scorsese and Jonathan Demme, with whom he collaborated on Silence of the Lambs and Philadelphia. His outstanding success was the Lord of the Rings trilogy, for which he received three Academy Awards. 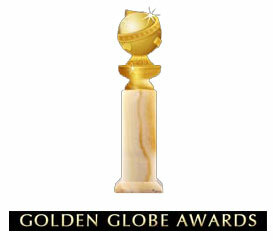 Furthermore, he is the winner of two Golden Globe and four Grammy Awards for his film scores. He has also composed a number of concert works and an opera, The Fly, which premiered in Paris in 2008. Featured on this soundtrack is Shore’s arrangement of Richard Wagner’s Siegfried Idyll. Wagner composed the Idyll as a birthday present for his wife Cosima after the birth of their son Siegfried in 1869. It is a highly personal piece of music: its first performance, by a small ensemble in Wagner’s home on Christmas Day 1870, woke Cosima on that morning from her sleep. Later Wagner incorporated music from the Idyll into his opera Siegfried, the third of the four parts of The Ring. Lang Lang, one of the world’s most renowned pianists, performs the 20-minute Siegfried Idyll on this soundtrack. His meteoric career has taken him around the world for performances in front of huge audiences and even into the White House. A Dangerous Method with its many-layered story of sexual and intellectual exploration and its star cast has the potential for great box-office success. Shore’s music and the superb playing of Lang Lang will delight listeners who have seen the movie and fans of piano music and Wagner alike.